The lavender, also called Lavandula tea is a very fragrant and aromatic tea, made with lavender flowers. It is usually mixed with green, black or other herbal teas. As the tea is prepared by adding the boiling water to the flowers a nice fragrance can be perceived in the whole room; it is one of the most fragrant teas. One or two teaspoons per cup of boiling water are sufficient to prepare a tea. When used alone as lavender tea it is slightly bitter, for this reason usually honey and lemon is added. When lemon (or other acid fruit juice) is added the color changes from pale yellow to pink as is illustrated below. This tea can be enjoyed hot or cold. It is a great summer tea! The pictures below are from a tea package I bought in Taiwan, where the use is very common. Brewed lavender flowers. The tea color is pale yellow. The common lavender species is called Lavandula angustifolia, also called English lavender. Most probably the name lavender comes from the Latin lavāre, of lavō, to wash. In the old days the lavender flowers infusions were added to the water to wash the clothes to give a scent. The word lavender and its variations is used in many languages (e.g. French: lavande; German: lavandel; Spanish: lavanda). 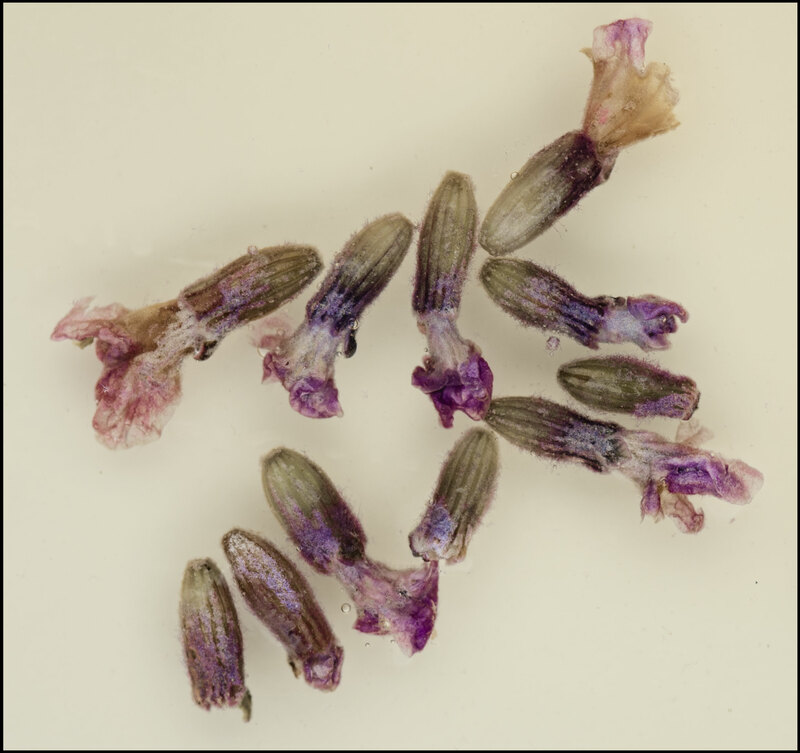 In Portuguese lavender is called alfazema, a word with Arabian origin. Typical lavender teacup made with 2 teaspoons of tea, lemon and honey added. Brewed lavender tea. The neat tea with pale yellow color is on the left. The same tea with lemon juice is on the right. There is a nice color change with the addition of lemon. 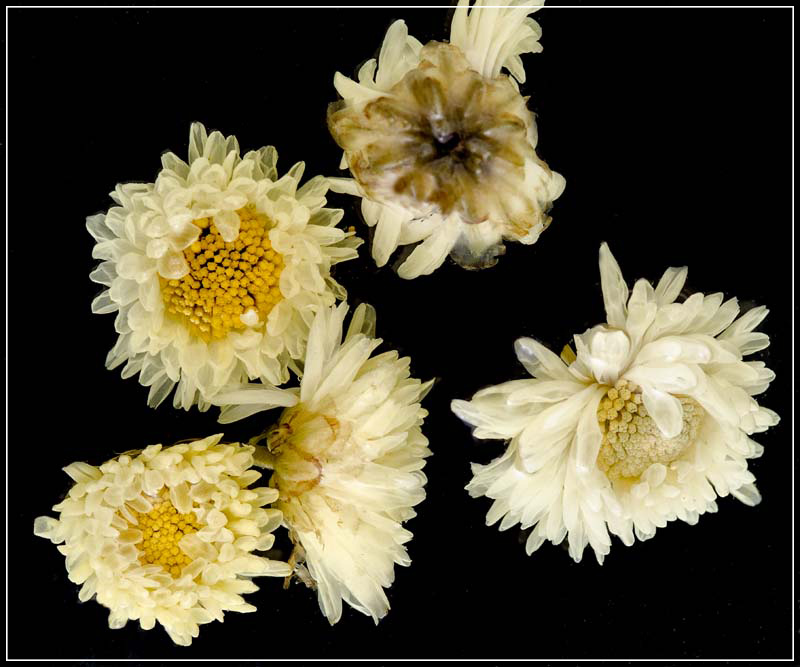 Chrysanthemum, is very popular floral tea in Asia. The first time I enjoyed this tea was in China then had many times in Taichung, Taiwan. 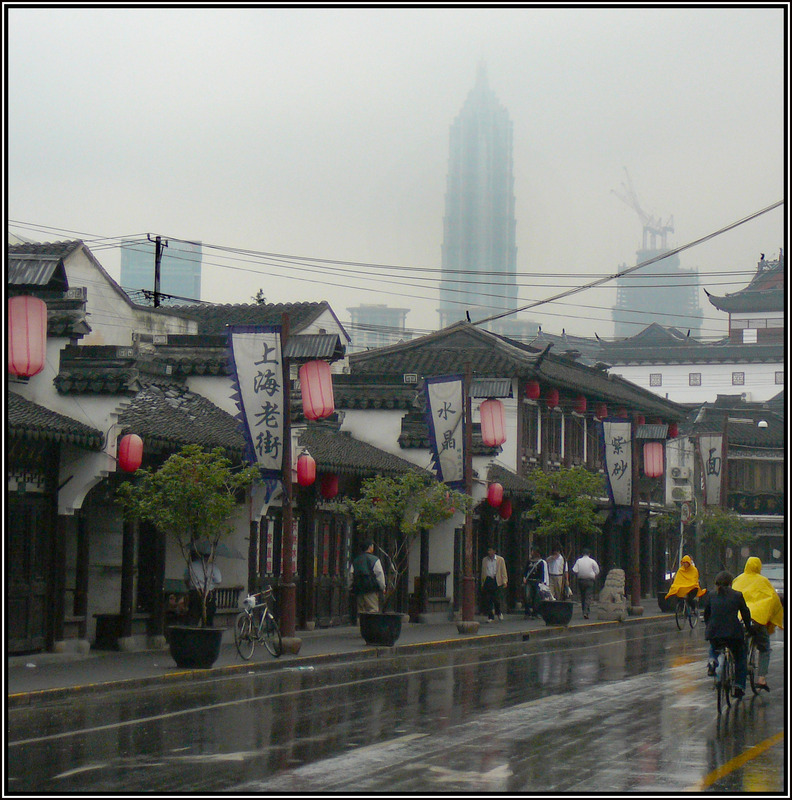 Hangzhou in China is very famous for the production and use. The Chrysanthemum tea can be enjoyed hot or cold. Many times it is sweetened with honey or rock sugar. 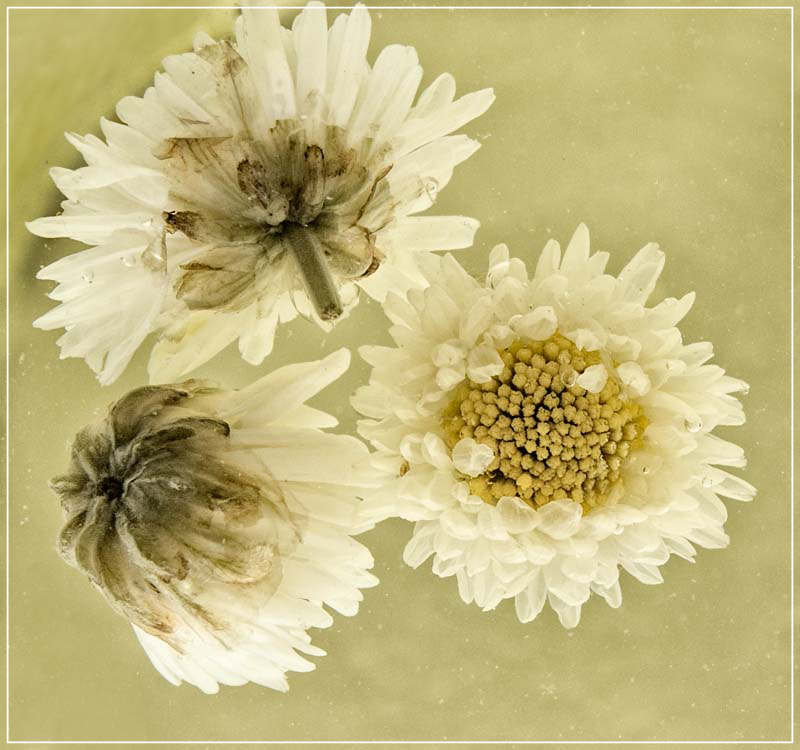 The name Chrysanthemum in Greek means yellow golden flower (chrys+anthemon). 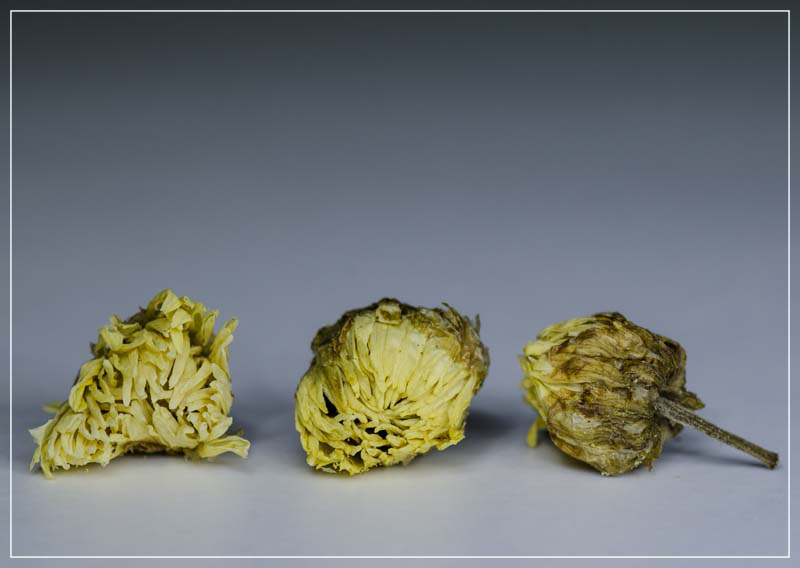 There are many types of Chrysanthemum flowers; here I describe the most common tea used in Asia. The petals are light yellow and the multiple carpels are intense yellow. The dry yellow flowers are very delicate and have distinct floral fragrance. The flowers must be handled and stored properly to avoid damage and oxidation. Usually the flowers are good for a year from the date of packaging. After this time they start to reduce the smell and the petals are released. The color changes from yellow to light brown. To brew the tea, a small amount of flowers (about 10 to 20) are put in a medium teapot and washed briefly with water at 85-90° C (185-194° F). Then tea can brewed with water at 85-90° C. After 2-3 minutes of infusion the tea can be filtered, served in teacups and enjoyed. Sugar or honey can be added to the teapot in small quantities before adding the water. The teapot can be replenished three or more times; it is a tea that has good replenishment characteristics. The tea has a distinct floral smell and taste is very subtle, it is naturally sweet, refreshing and relaxing. This tea is caffeine free. It can be enjoyed hot or cold as an all day tea or during meals. The brewed flowers are so nice that we can enjoy the beauty of the pictures. Recently in Turkey my friends Kemal and Zek gave me a nice gift set of Turkish tulips. The tulips and plates are hand painted with gold and have a pretty nice design, still maintaining the traditional tulip shape and transparency to visualize the Turkish Tea. 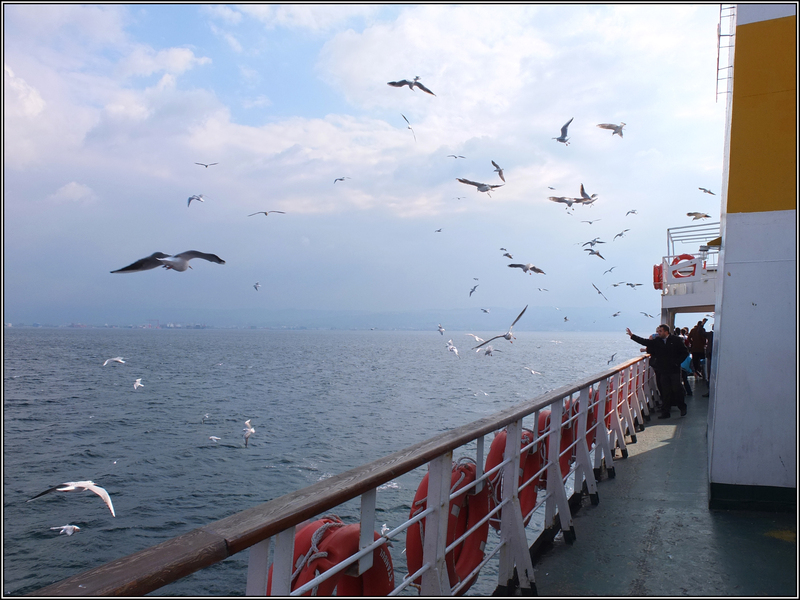 On a trip from Izmir to Istanbul we had the opportunity to stop in Balikesir. After dinner we had the tea served in the new tulips and enjoyed hosmerim (cheese pudding), a nice traditional dessert from the area. That moment of sharing tea with friends is what makes the tea flow beyond the glasses. It is a fluid sharing pipe of peace. 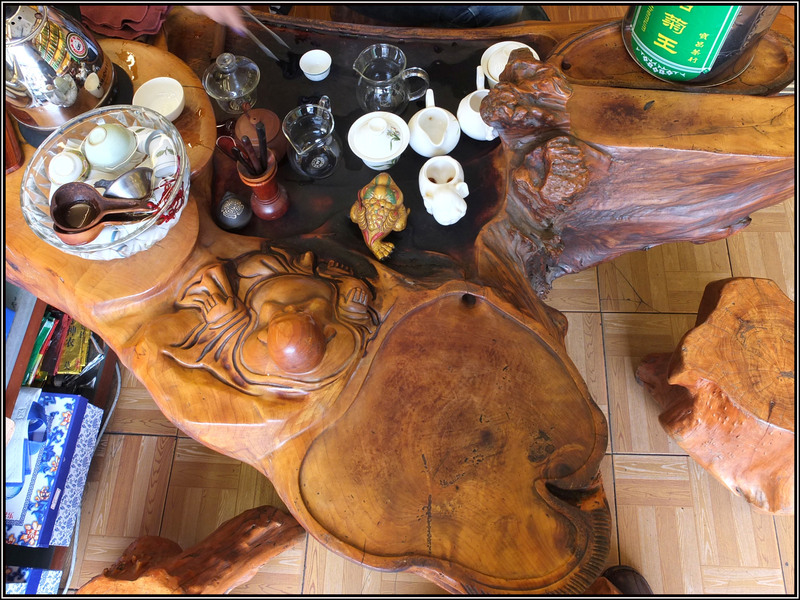 The tea time as recorded in this picture goes beyond the taste, smell and colors. An old saying “the amphora always keep the smell of the first wine” might be true also for the tulips and tea. 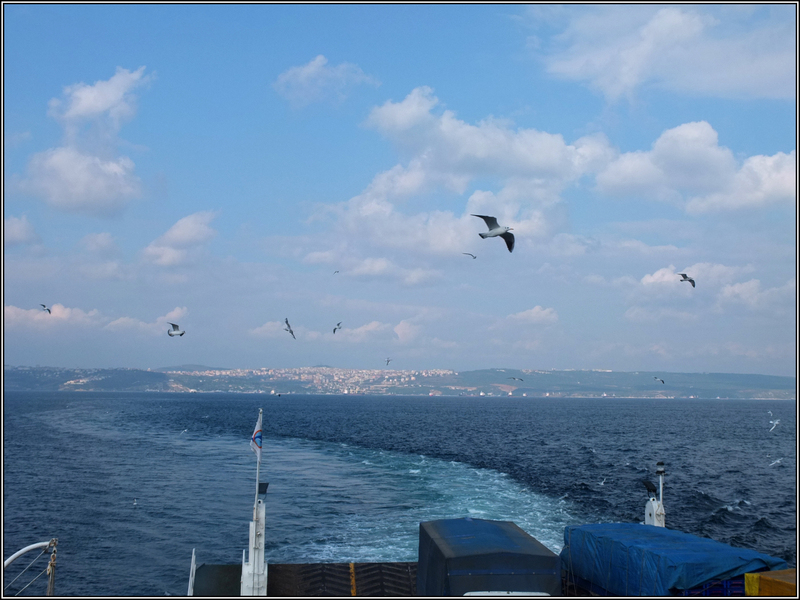 The smell of the first tea in Balikesir will always be in the tulips. The three Turkish teas in the gold painted tulips. The hosmerim is on the right. What a joyful and memorable moment. Freshly brewed tea in the gold painted tulip. On the right the Tukish Delights to complement the tea. One pomegranate-pistachio another mastic-pistachio. Magnificent. What is a Tea? Te, Chay or Cha? 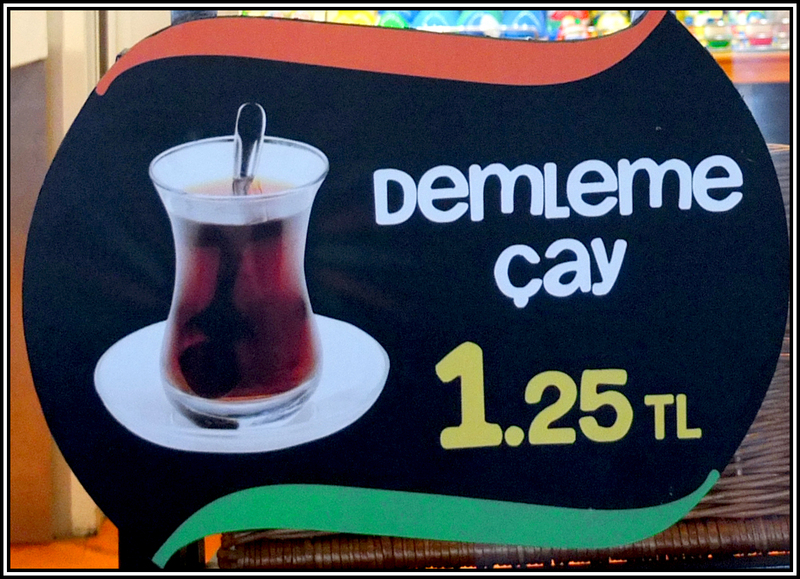 There a lot of definitions of what is a Tea. My version is the following: In sensu stricto, tea is an infusion of the Camellia sinensis leaves and leaf buds. Camellia sinensis is the scientific name of the plant that produces tea. 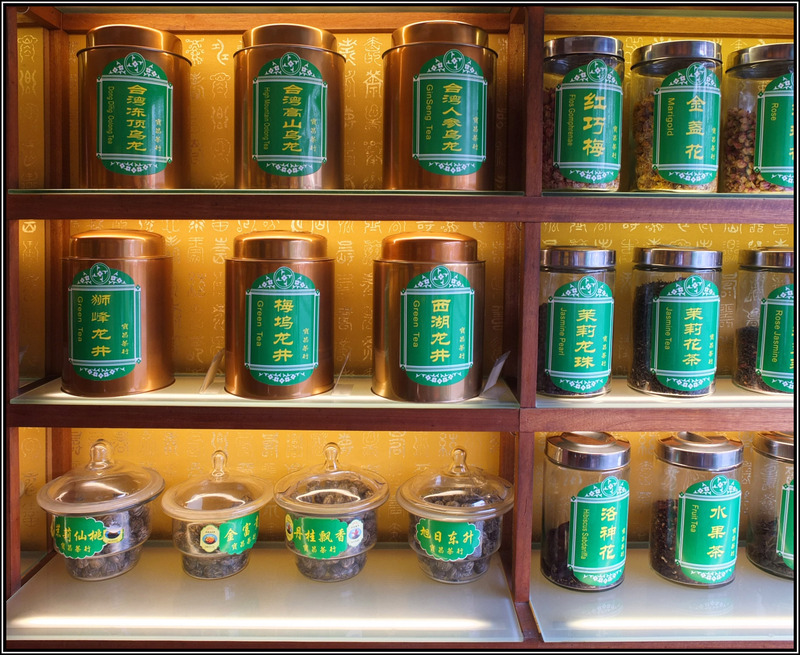 Oolong, green, white and black teas are examples of these teas. 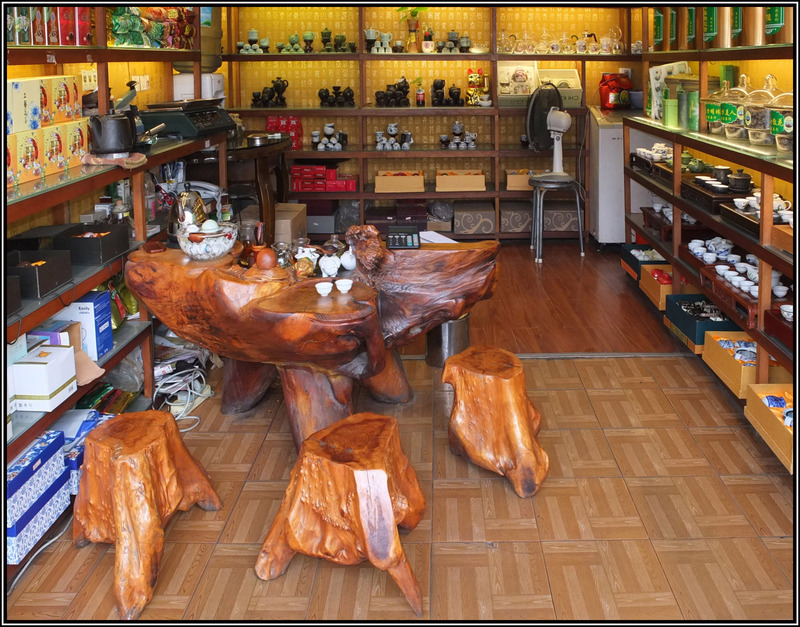 In sensu amplo, the word tea is an infusion of seeds, roots, flowers, bark, fruits, leaves, spices and its combinations. It is common to call the non Camellia sinensis teas “herbal teas” or “tisanes”. 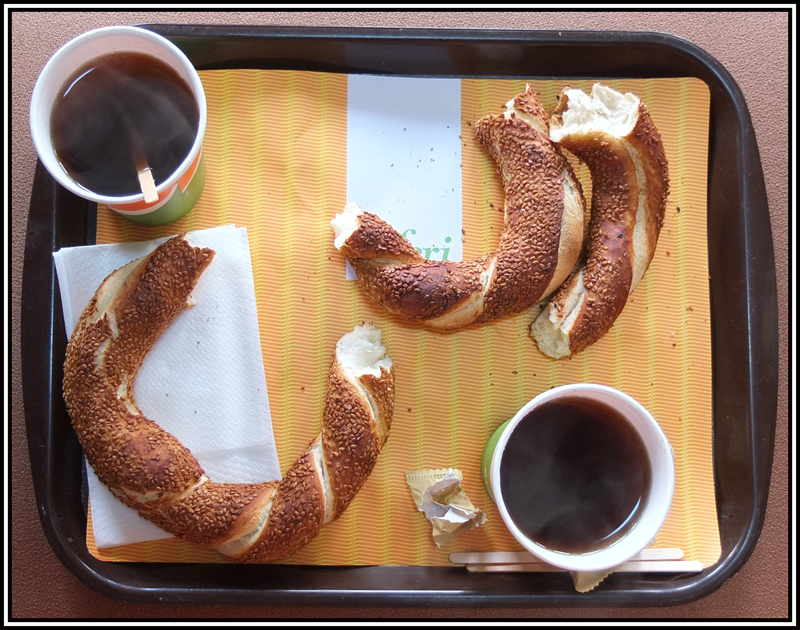 The “tisanes” are typically non-caffeinated brews. Usually when we say the single word tea, we are talking about regular black tea. All other teas have two words to describe the type of tea, e.g., Masala Tea, Honey Dew Tea, Ginger Tea, Lemongrass Tea, Mint Tea, etc. If you are in a foreign and want to order a tea, one of the three words (te, chay or cha) will get you a tea. What is called commonly tea may have a different way to brew and serve from country to country, but it will be a tea. The name Camellia is the Latinized surname of the botanist Georg Kamel, and sinensis means Chinese in latin. Interesting message in a teacup on the Alitalia flight from Rome to Verona last week. In the Mercado Publico (Public Market) in Porto Alegre, Brazil, teas are sold in small packages. 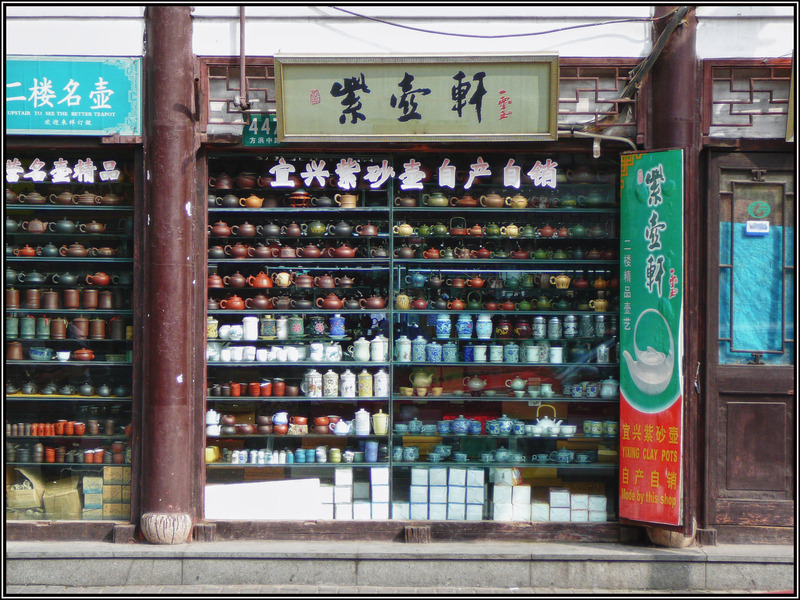 They are called Chá, here the teas are labelled with the common name and some with the scientific name too.